Style up a young girl for her big night at the school prom ! most awesome game ever! i wuv it! I love this game!!! 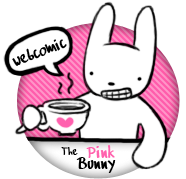 I love Pinkbunnylilli, too, BUT WHAT THE HECK!!! i made it look like the blonde girl without trying!! I love this game! The style is unique, and there is such a wide variety to choose from! However, I wish I could change the bangs on her. Overall, I give it 9.9 out of 10 stars! I wish there were more of these games. There is only Style up for prom and style up for wedding. What an AWESOME game! I love it. The hair styles are cute, the dresses are gorgeous, and there’s a match for almost everything! Keep it up! I sooo love your website !!! PLEASE add mote dress up games !! I tall all my freinds aboud this website !!!! charming post. simply one unimportant where I bicker with it. I am emailing you in detail. i love your website i just love it all!!!! Will you make more dressup games? If so please hurry I really admire you!! !